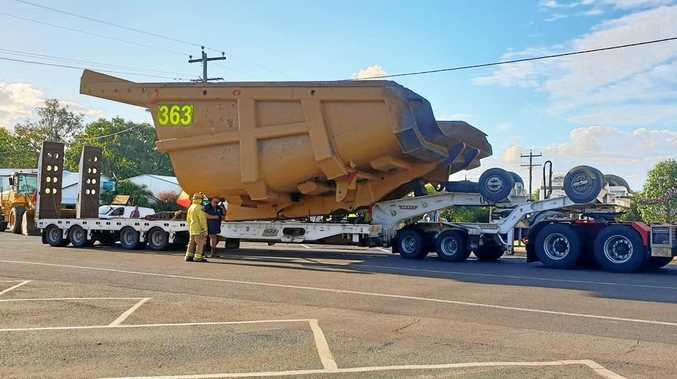 IF YOU think you've had a bad day, spare a thought for this truckie whose wide load tipped in a Central Queensland town. Queensland Police Media said the load luckily missed power lines, but did cause some delays around the Dawson St and Yaldwyn St in Taroom on Thursday afternoon as it was righted. These photos were later shared on social media.